If you’re a golf enthusiast, you’ve probably seen the PGA Tour and eyed the lush landscapes – wishing you could play on similar courses. We’ve got you covered. 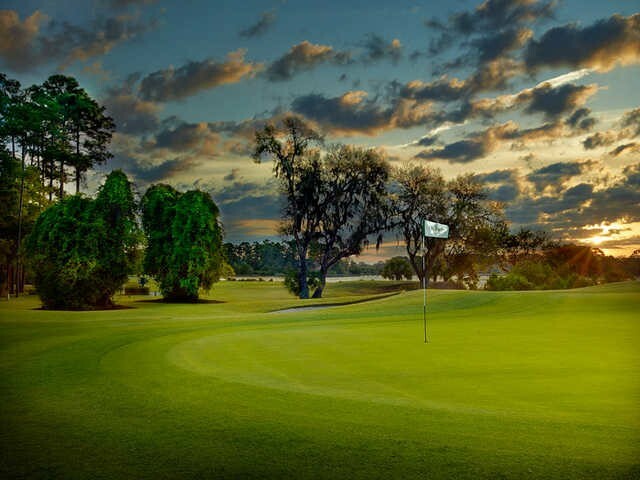 Our SaveOnEnergy.com® analysts looked at golf courses around the country to find some of the best spots to putt. To make the cut, the course needed to be GEO Certified® – an award given to courses by the Golf Environment Organization that meet certain standards in the areas of nature, energy, supply chain and pollution control. 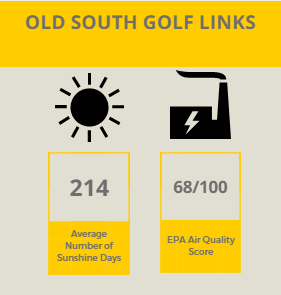 Next, every golf course we chose to feature is in a town that has a high recorded number of sunshine days each year and a good overall air quality rating from the Environmental Protection Agency (EPA), making it a great place to visit. Ready to take your game to a new fairway? Check out the list we compiled below. A course located in Southern California is the first on our list: Ben Brown’s Golf Course at the Ranch at Laguna Beach. Not only is it a gorgeous golf course, it’s also a friend to the environment. Ben Brown’s works with two organizations – the California Coastal Commission and the Laguna Canyon Foundation (LGF). Partnering with the first, the golf course monitors the chemical, biological and visual quality of its nearby water weekly. With help from the LGF, it stays on top of the air quality in the surrounding environment. Plus, the course is conscious of toxic runoff when it comes to spraying its greenways for pest control. 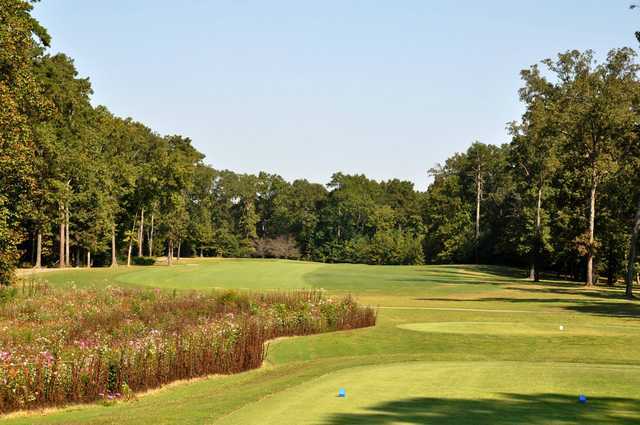 Ben Brown’s Club holds itself to high standards when it comes to preventing surface runoff, using swales and bio-filters to slow and treat this occurrence. 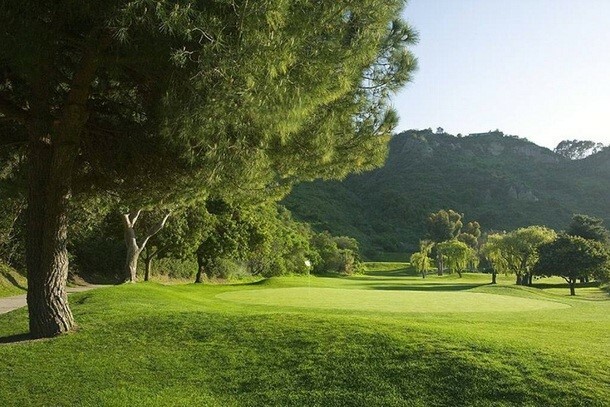 It’s clear that the golf course is eco-friendly, but did you know that Laguna Beach is, too? The town has several initiatives in place to preserve the environment, promote recycling and encourage residents to maintain a pristine community. How? Through monthly trash cleanups. Zero Trash Laguna manages these – on the first Saturday of every month, the organization partners with community volunteers to tidy up the streets. We head to the southeastern corner of our country for the next course. 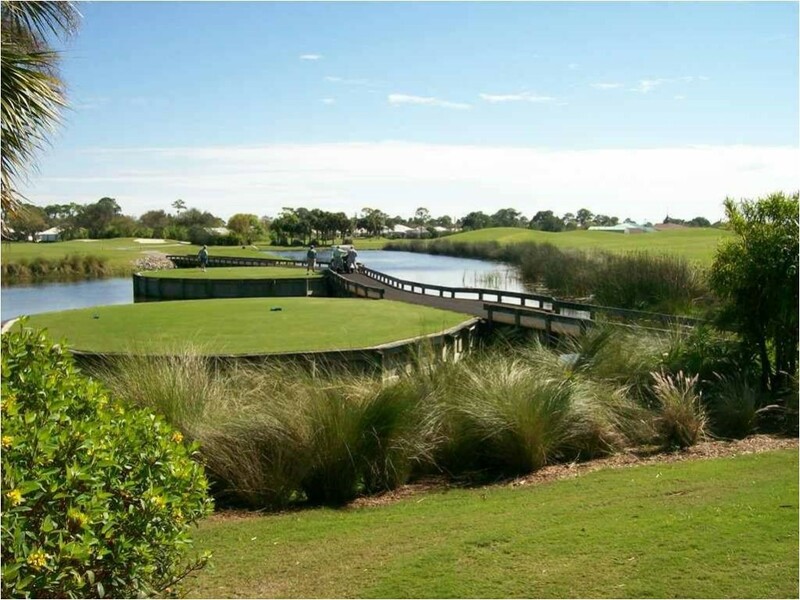 In Boca Raton, FL, the Broken Sound Club golf course is making strides to maintain a high level of eco-friendliness. Broken Sound was the second golf course in the United States and the 14th in world to become GEO Certified. The golf course began its journey to become green through little – yet intentional – steps. Starting with implementing a rich recycling program and using energy-efficient light bulbs, the golf course has expanded into more impactful programs. Recently, the facility installed solar panels on some of its roofs and added an onsite Tesla charging station. Plus, the fitness center at the Broken Sound Club is LEED-certified for its resource-efficiency. The city of Boca Raton has also dedicated itself to becoming an eco-friendly community. It offers several electric vehicle charging locations – one of which charges two vehicles at once – to encourage residents to drive smarter and be aware of their carbon emissions. Boca Raton is also conscious of its water usage and has effectively established a reclaimed water program to irrigate the city’s lush green spaces. 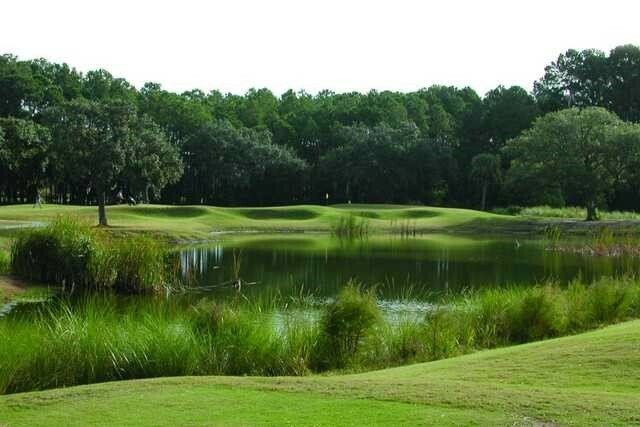 Just across the bridge from Hilton Head Island, SC, lies Bluffton – and the Old South Golf Links course. A GEO Certified course since 2016, Old South takes care to prevent contaminants from entering the water table. How? The groundskeeping team mixes all pesticides, herbicides and fertilizers on an impervious asphalt surface. This South Florida golf course has maintained its GEO Certification since 2015. Located in the affluent city of Palm Beach Gardens, the PGA National Resort and Spa has made significant efforts to reduce its energy usage. 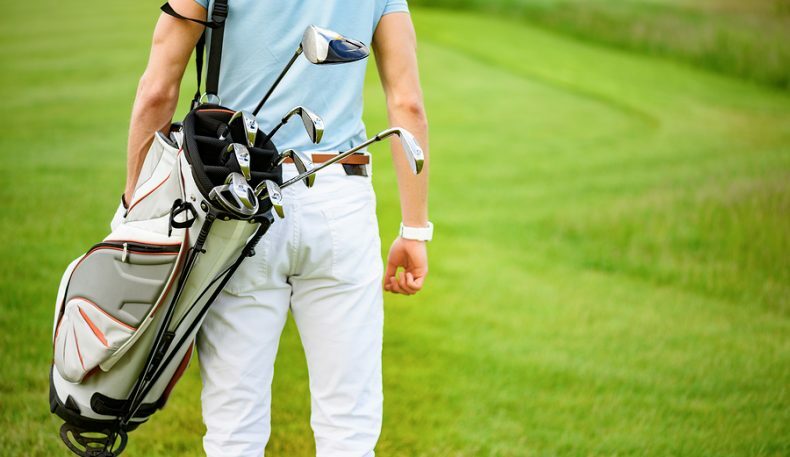 With the initiatives it has in place – such as using energy-efficient irrigation pumps – the golf course has saved an estimated $18,000 each year in energy costs. This PGA course has also taken notable strides to use water runoff as a means of irrigation. To further reduce its water consumption, the resort installed low-flow fixtures in its clubhouse. Palm Beach Gardens also takes steps to promote eco-friendliness within its community. The city partners with the Solid Waste Authority and implements a robust recycling program. A goal of this initiative is to recover recycled goods and find ways to reuse items to the maximum extent. Nestled within a Tennessee State Park, The Bear Trace at Harrison Bay has held its GEO Certification since 2014. Whenever possible, the course opts for limiting the use of precious resources, such as water. One way this is accomplished is through its reduction of irrigated areas, which has helped the facility conserve more than 7.39 million gallons of water each year. Bear Trace also protects the environment by controlling chemical runoff. Vegetative buffer strips were installed to prevent pesticides from seeping into the soil. Plus, the lake is protected from erosion through strategically placed “bubble basins” that slow the rapid flow of rainfall. Not far from the course is Chattanooga, TN. It is one of the country’s greenest cities and celebrated for its sustainable initiatives and many LEED-certified buildings. To conserve water, Chattanooga employs an innovative greywater system to collect rainwater and use it to irrigate the city’s greenspace. The Legends at Parris Island in Beaufort, SC, is a treasure hidden beneath a canopy of oaks. It earned its GEO Certification in 2016 and has since maintained the eco-friendly initiatives that helped it achieve this recognition. Because of its nearly untouched surroundings, Parris Island is home to many native plants and animals: deer, turkeys and wading birds, to name a few. This wildlife is what makes it so beautiful – and confirms the reasons why the golf course should uphold a high standard of preservation. To conserve energy, the facility replaced 18 trucks in its maintenance fleet with fully electric models in 2013. Beaufort is also a leader in the Lowcountry region when it comes to other eco-friendly initiatives. The community encourages its residents to take part in recreational activities that are easy on the Earth, such as hiking, biking, walking and gardening. Named Hilton Head Island’s “most celebrated resort,” this golf course and clubhouse has maintained its GEO Certification since 2015. It’s taking strides to maintain the eco-friendliness of the course in many areas, and wildlife preservation is one of these efforts. Since sea turtles are native to the area, the resort takes care to prevent light pollution from disturbing the animals when they are nesting at night. Sea Pines instated regulations around when lamps and spotlights can be used in the surrounding area – turtles prefer the dark. Conveniently, this also saves on energy costs. Additionally, the golf course promotes alternate transportation use. Complimentary taxi rides are provided to the course’s employees, and the many bike paths encourage guests to take a break from driving. Finally, public transportation is offered: public trolleys run year-round. It’s no surprise that this golf course is eco-friendly – it’s located in Hilton Head Island, the country’s first eco-planned community. The island provides residents and tourists with more than 100 miles of oak-hammocked trails and public pathways. This encourages alternate forms of transportation, such as biking and walking. In fact, it’s also the proud recipient of a Bicycle Friendly Community Silver Level Award. 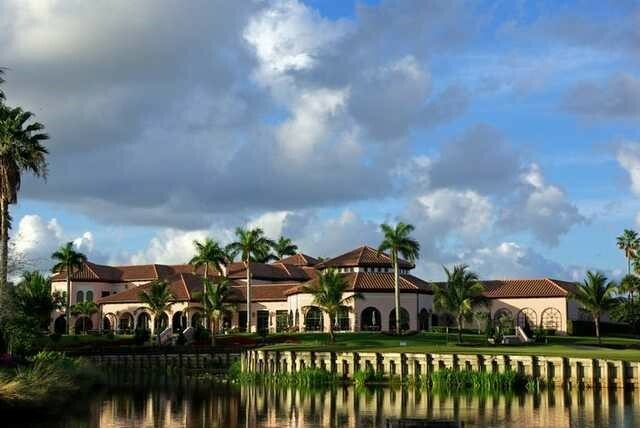 A private, members-only golf community in Venice, FL, The Venice Golf and Country Club closes our list. The facility has earned two GEO Certifications: once in 2012 and again in 2016 for its continued efforts. One sustainability initiative it employs is the installation of solar panels that power its onsite emergency horns. During an electrical storm, these horns warn players of a possible lightning strike, encouraging them to head inside toward safety. Additionally, geothermal sources heat the junior Olympic- swimming pool and 11-person spa. Venice is also committed to being a friend to the environment. It employs many sustainable initiatives and encourages its residents to do the same. All city customers are provided with water conservation kits, which include water-saving tips, an efficient showerhead, faucet aerators, dye tabs and educational materials about responsible usage. The City of Venice Utilities Department also implemented a Toilet Rebate Program in 2014. Since launch, more than 600 high-flow toilets and urinals have been replaced with low-flow versions.